The US Attorney General and the Mueller report on 3/24/2019 cleared President Trump of collusion and obstruction of justice crimes related to Russian interference in the 2016 Presidential election. This costly and long awaited report is now completed, hopefully this will lead to more “predictable” politics and could hopefully lead to bi-partisan approval of billions of $’s of infrastructure spending activity in the next three to six months. A possible trade war between the USA & China is still out there, the continuing Brexit impasse, and global construction activity showing signs of a slowdown in most of the major economies. This, and ever more damaging floods, wild fires & other natural disasters in the US & Africa is what the first three months of 2019 has witnessed. 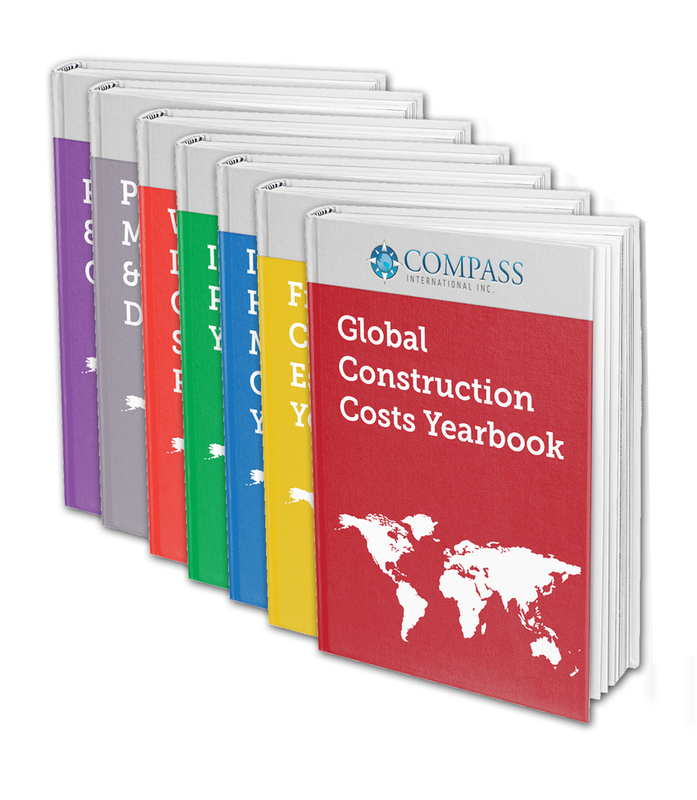 This together with a shortage of skilled labor resources & increases to both construction labor & material costs is a challenging situation to the Global Construction market for the remainder of 2019. Risky, promising, daunting, buoyant, depressed, upbeat and challenging are some of the words tossed around to describe the construction outlook in many countries around the world as we move further into 2019. The positive words (for the most part) apply to India, Vietnam, China and the US, the negative words pertain to the UK, France, Italy, Germany, Japan and Russia. The global construction market has experienced significant growth from the 3rd Q of 2016 until the 4th Q of 2018, close to 30 months. However, like all things good things, this chapter is now over and in 2019 will see GDP growth rates from the more developed countries moving towards more historical lower levels. Certain Global Construction markets are perhaps not as positive looking as they were six months ago, we have concluded that we are entering a slowdown period, however 2019 will be for the most part be year of marginal growth in many countries. The US decision to impose import duties and tariffs on $200 to $300 billion of Chinese imports has signaled a risky magnification of its exasperation with China over what the US considers is its unfair trade practices. Many experts believe these initial protectionist activities will have a minimal effect on global growth and future construction activity in in the 1st half of 2019 and moving into 2020. However, experts have been wrong before, on the assumption that this current spat does not turn into an all-out trade war between the two largest global economies. That being said, the Chinese economy is very dependent on exports to the US, a major trade war with the US could seriously impact construction activity in China and significantly reduce future GDP growth and lead to a substantial increase in China’s unemployment rate. The current escalation of trade disagreements between China and the US doesn’t benefit either countries interests, the world’s #1 and #2 economies have both been in a war of words over trade in the last twelve months, ratcheting up the stakes each month. Hopefully, this major disruption to future global trade can be resolved in April or May of 2019. Assuming the China / US trade dispute is resolved in 2019, then the US could ratchet up its trade sanctions threats on the European Union (EU) in 2019. The German automobile industry could be the big loser of this situation, then again the (EU) could impose its own trade sanctions against the US. The (7) fastest growing economies and construction markets in 2019 will be the following Asian and African countries. The US construction sector is performing really well as we move into 2nd half of 2019. Growth is for the most part occurring across most US industrial sectors, look for this positive trend to start to slow down in the 4th Q of 2019. Major counties that will experience slow growth of less than 1% GDP growth in the next (6) months include Japan, UK, Italy, Germany and France, which perhaps is the precursor to slower overall global construction growth in 2019. From the above list, it appears that the best construction related markets for growth in 2019 are located in Asia, Africa and the US, these countries will continue to be the fastest growing construction markets in 2019. Increasing demand for all types of construction services in the US and the Asia – Pacific Region (APAC), Ethiopia and Kenya will compensate somewhat for slower growth in Europe, Russia and South America over the next year or two. In November, the US, Mexico, and Canada endorsed a new trade accord, titled the US-Mexico-Canada Agreement (USMCA). This new trade arrangement will transfer some automobile vehicles and components produced in Mexico to the US and open up dairy products from the US into Canada. USMCA also opens the way for the US to remove 25% steel and 10% Aluminum import tariffs it placed on Canada in 2018. The possibility of an all-out trade war between China, the European Union and the US is a possibility as we move deeper into 2019, the negative ramifications of this could be huge for the global construction market. Rising trade disputes present a serious risk of economic turmoil, will it come to this? Seems unlikely, but you never know. What now? After the 2nd Trump-Kim summit collapse in late February, what is the path forward for the US, North Korea and the region? The ongoing “Brexit” debacle, and its possible consequence on the UK, the world economy and the remaining 27 European Union economies. The political and territorial ambitions of Russia continues to be a concern to Eastern and Western European countries. Future protectionism is a significant risks to the Global Construction sector. The continuing terrorist events in New Zealand and Utrecht tram shooting in the Netherlands remind us that terrorism is still a major problem. If some of these issues can be resolved or put to rest then the international construction market has an excellent chance to grow and prosper in the next 2 to 5 years particularly in some of the 2nd and 3rd world developing economies of South East Asia, East Africa and South America. Crude oil prices are forecast to range between $56 & $64 a barrel for the remainder of 2019, this price range benefits a lot of counties and their construction sectors. The USA economic forecast remains relatively strong, the USA GDP growth rate is still forecast to be in the 2.9% to 3.2% range for the remainder of 2019. Some economic experts are raising the possibility that the USA will move into a recession in 2020 / 2021. US construction bulk materials such as metal products / structural steel / steel pipe, timber, plywood & some wallboard products are experiencing between 4% & 8% cost increases. Demand for these products & import tariffs are some of the reasons for this situation. Building Information Modeling: (BIM). BIM is a computerized system of creating depictions of process plants, manufacturing facilities, buildings, highways & the like. BIM increases engineering productivity, estimating routines, planning activities, promotes teamwork & much more. BIM is currently used by many Architects & Engineers & appears to be on track to be one of the main software tools to be used in the Global Construction Industry, look for BIM applications to be utilized more and more in the future. The remarkable last two to three year surge in oil & gas production in the USA (more than 75% of these facilities are focused in the USA Gulf Coast region) has boosted a sizable increase of new and expanded oil & gas production facilities in all regions of the USA, together with accompanying required pipelines, rail tracks and service roads. One of the current USA administrations major goals is to make the USA completely independent of the need to import oil products, look for USA domestic oil to increase significantly in the next 12 to 24 months. The USA is now the largest producer of oil, exceeding 11 million barrels a day recently leapfrogging over both Saudi Arabia and Russia. EPC services related to airports and urban transportation facilities around the world is another market sector that is experiencing significant growth, new terminals, runways, roads, railroad stations, high speed trains, maintenance facilities, and rail connections seem to be surfacing every week. This infrastructure work includes both new facilities and the refurbishing existing facilities, the value of this infrastructure work is estimated to be in the region of $35 to $50 billion in the next two years. The “bottom line” is that the Global Construction market is forecast to see sustained / moderate growth in the next 12 to 24 months. This growth will be propelled by population growth, the movement of people from rural areas to cities and towns in Asia, South America and Africa, there will be significant need for low cost housing, schools, hospitals, food production facilities, power plants, potable water systems, highways, airports and the like to support this exodus. USA 3.1 2.1 3.8 Construction activity overall in the USA is forecast to increase by 2.5% to 3.2% in 2019 over 2018 levels. Commercial / Infrastructure & process related construction is progressively improving in all areas of the USA. The USA economic forecast remains somewhat tough, the USA GDP growth rate is still forecast to be in the 2.9% to 3.2% range for the balance of 2019. Some economic commentators are forecasting the likelihood that the USA will move into a recession in the 1st Q of 2020 and this recession will last until mid-2021. CANADA 1.7 2.1 5.8 Construction (hotels, offices, shopping malls, institutional work and housing) is steadily improving in all Canadian Provinces. Oil & Gas CAPEX work has started to see a slight pick-up with current oil prices in the $55 to $65 a barrel range. Prime Minister Trudeau's government has been struggling with a political crisis that could eventually mean a change of leadership later this year. BRAZIL 1.4 4.1 11.9 The construction industry is expected to remain curtailed for the balance of 2019. Brazil’s new right wing President Bolsonaro has promised to bring economic stability. Things are starting slowly to get back to normal, the economy is seeing some signs of improvement. GDP is forecast to grow at an improving rate of 1.3% to 1.7% range for the remainder of 2019. GREAT BRITAIN 1.2 1.9 4.1 The UK’s Brexit political crisis has become progressively worse in the last three months The UK is set to drop from its current # 5 ranking to # 7 of the words largest economies rankings. The UK is set to leave the European Union at the end of March, let’s see what happens? Will it or won’t it happen is the question. Brexit negotiations are still in a state of flux, more than two years after the UK referendum, this economic uncertainty is expected to have a negative impact on construction activity in 2019. GERMANY 0.9 1.9 3.3 German construction activity in 2019 is expected to slow down over 2018 levels. Construction activity in Germany is forecast to decline by 3% to 5% in 2019 over 2018 levels. German inflation rates are forecast to be 1.7% to 2.1% for the remainder of 2019. The German GDP continues to be low at 0.7% to 0.9% for the remainder of 2019. The German overall industry unemployment rate is forecast to be 3.3%. The construction industry is somewhat higher ranging between 5.1% & 5.6%. Future construction activity in 2019 looks to be rather bleak. The Nord Stream 2 Pipeline Project a controversial gas pipeline project from Russia to Germany has recently broken ground. FRANCE 1.0 1.4 8.8 The recent riots by the “Yellow Vests” particularly in Paris does not portend well for future economic / construction activity in France. Construction activity will remain lethargic in 2019. RUSSIA 1.5 4.9 4.9 The Russian construction market is forecast to experience minimal growth in the Oil / Gas sector and modest growth in the commercial / housing construction sector for the remainder of 2019. USA & European sanctions related to the eastern region of the Ukraine occupation have seriously impacted the Russia economy & construction sector in last three years, look for this to continue in 2019 and beyond. JAPAN 0.3 0.4 2.6 Japanese construction activity is focused on new hotels, shopping centers, housing and the 2020 Olympic facilities. The Japanese economy / construction sector is forecast to slow down in 2019. The Japanese construction industry continues to see slow but minimal growth. The breakdown of the US - North Korea summit in February was a setback, hopefully a follow up summit can be arranged in the next 3 to 6 months to keep the nuclear weapons eradication talks back on track. CHINA 6.2 1.9 3.8 The prospects of a possible trade war between China and the US is a distinct possibility going into 2019. China's engineering / construction market is forecast to see slower growth in 2019. China’s inflation rate is forecast to be 1.8% to 2.2% for the remainder of 2019. The Chinese GDP continues to trend downwards to 5.9% to 6.2% for the remainder of 2019. China’s overall industry unemployment rate in 2019 is forecast to be 3.6% to 3.9%, the construction industry is to some extent higher ranging between 5.3% & 5.8%. INDIA 6.7 2.9 6.9 India’s EPC sector is forecast to see steady / continuing growth in 2019. India’s EPC sector is forecast to see steady / continuing growth in 2019. India’s inflation rate is forecast to be 2.8% to 3.2% for the remainder of 2019. India’s GDP continues to be robust at 6.9% to 7.2% for the remainder of 2019. India’s overall industry unemployment rate in 2019 is forecast to be 6.8% to 7.3%, the construction industry unemployment rate is to some degree higher, ranging between 7.5% & 9.5%. India will continue to be the leader of the Asian economies in 2019. Infrastructure & Commercial projects such as, highways, ports, railways, low cost housing, schools, hospitals, manufacturing factories, fertilizer, petro-chemical, gas facilities and power plants are moving the Indian economy forward in the remainder of 2019.